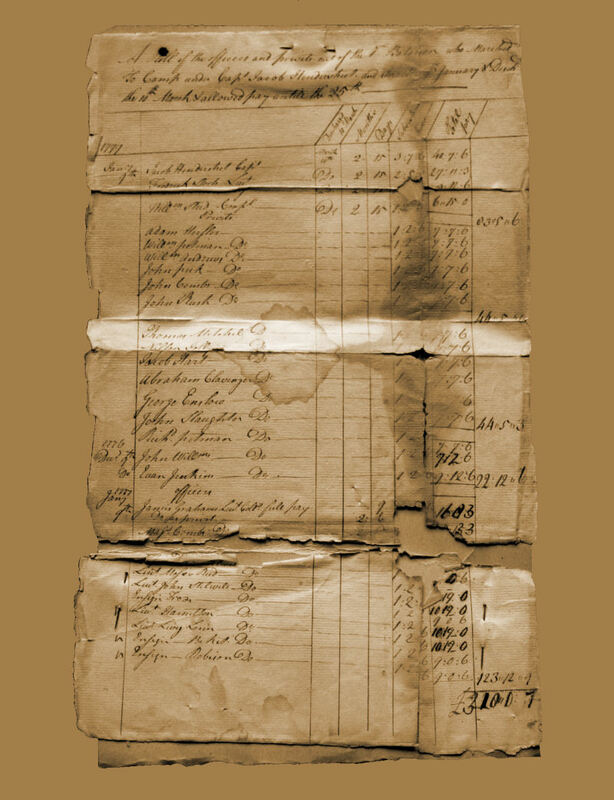 The roster reproduced on this page is an authentic, original muster roll for Captain Jacob Hendershot's Company of the 1st Battalion of the Bedford County Militia during the year 1777. It is undoubtedly a duplicate of the muster roll in the possession of the Pennsylvania Archives. The roster was discovered by, and is currently in the possession of Matt Reed, a collector of paper ephemera. It was part of a collection of papers (sight unseen) that he obtained at a public auction of the estate of Frank Brumbaugh at Alum Bank in Bedford County, Pennsylvania in December 2016. The document was, along with some other papers, stashed in a tin box on which Mr. Reed bid and won. I am sincerely grateful that Mr. Reed has permitted the document to be photographed and reproduced on this webpage. The county of Bedford owes Mr. Reed a debt of gratitude for his willingness to share the knowledge of the existence of this valuable American Revolutionary War document.